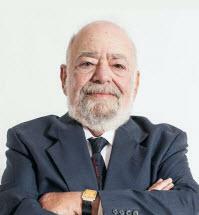 Professor Roger Bernhardt taught for many years at Golden Gate University School of Law in San Francisco. He has written, in whole or part, for attorneys: California Mortgage and Deed of Trust Practice, and Bernhardt's California Real Estate Codes, and he is the Editor of the California Real Property Law Reporter. He has also written, for law schools and law students: Cases and Statutes on Real Property, Real Property in a Nutshell, The Black Letter Law of Real Property, and also Cases on California Real Estate Finance. Roger has been a leading consultant and expert witness in Real Estate Law. Professor Bernhardt has been Chair of the American Bar Association Legal Education Committee of the Real Property Probate and Trust Section, Advisor to the California State Bar Executive Committee of the Real Property Section, and a member of the American Law Institute, the American College of Real Estate Lawyers, and the American College of Mortgage Attorneys.